Flash settings are much easier to change using the camera LCD screen. 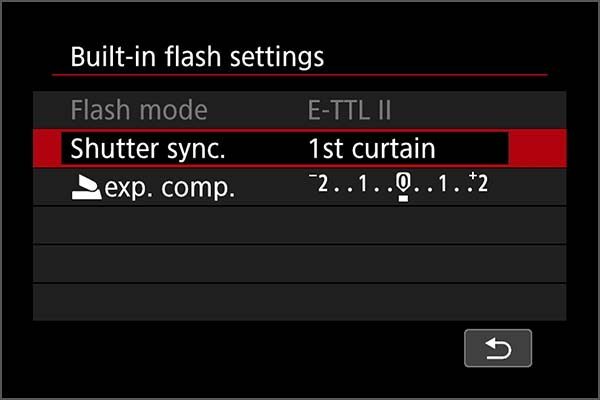 This post will show you some shortcuts to get even quicker access to flash settings. 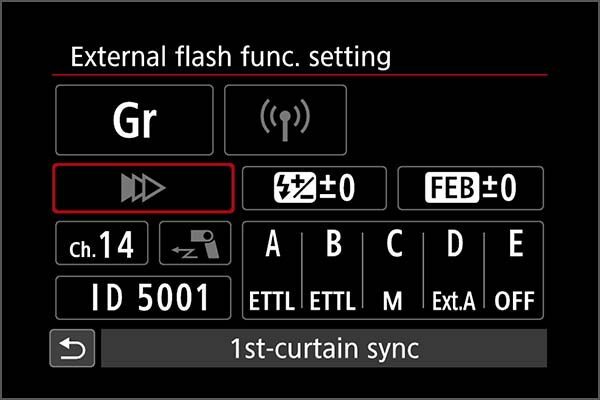 Many EOS cameras introduced since 2007 have the possibility to configure the Speedlite flash settings by pressing a series of buttons and navigating to the relevant parts of the camera menu. For many cameras there’s a shortcut too. 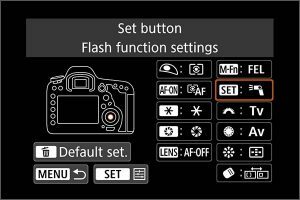 If you’ve got a camera with a pop up flash, then you could be one button away from the flash settings. Pressing the button that would normally raise the flash, is the shortcut you need to know. 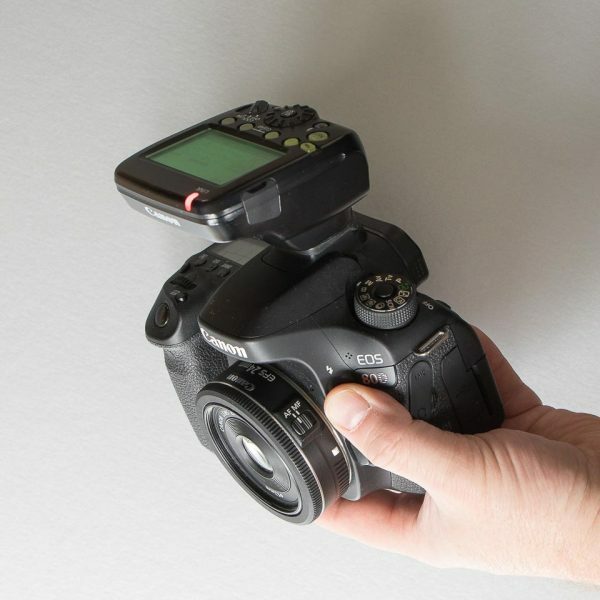 If there’s nothing on the camera’s hotshoe, press the button to raise the flash. Then press it again to display the settings, for the built-in flash. 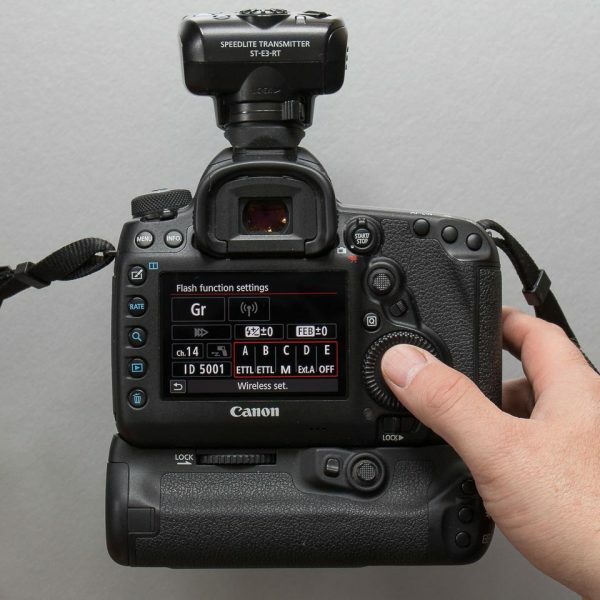 This shortcut works on the EOS 200D, EOS 750D, EOS 760D, EOS 800D, EOS 77D, EOS 80D and EOS 7D Mark II. 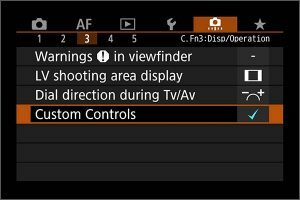 EOS-1D X Mark II, EOS 5D Mark IV and EOS 6D Mark II custom controls can be configured so that pressing the SET button in the centre of the quick control dial, on the rear of the camera, access the Speedlite settings menu. 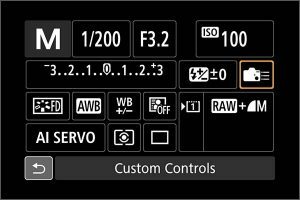 To configure your camera to use the SET button for flash settings, go to the custom controls, either in the custom function menus or from the quick control screen. 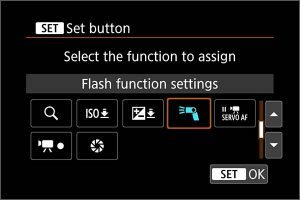 Then scroll to the SET button and choose to assign flash settings to it. Navigate to the SET button, and tap on the screen or press SET to select it and assign the flash settings to the set button. 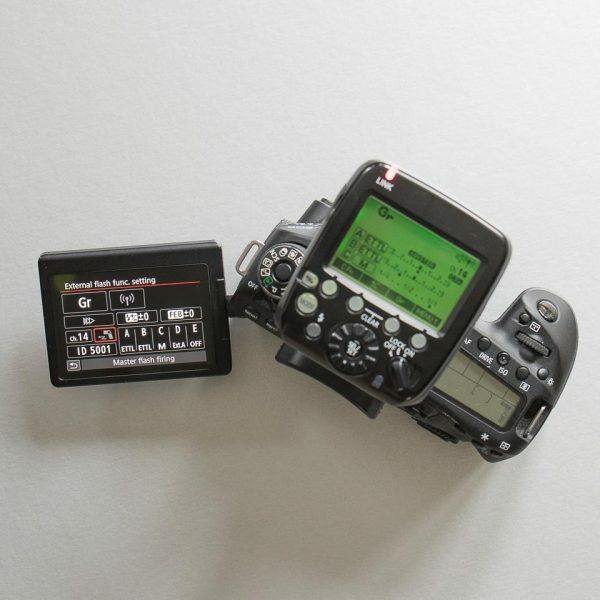 In practice I start out working with the Speedlite settings on the camera menu, this lets me define the basic setup of how I want to work, then when the photography starts I tend to use the buttons and dials on the Speedlite Transmitter or flash on the hotshoe. However for workshops and live demonstrations I often use only the settings on the camera LCD screen.